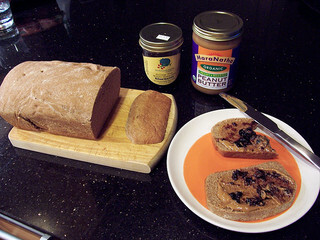 Arrowhead Mills and MaraNatha nut butters made by nSpired are being recalled due to possible salmonella threats. The affected jars will have expiration dates that range from Dec. 2014 to July 2015. The bacteria in question can cause a week-long illness that can have deadly effects on children and the elderly, as well as those with immune system vulnerabilities. Salmonella symptoms include nausea, vomiting, and diarrhea -– symptoms that can lead to severe dehydration if improperly managed. Fourty-five facilities are implicated in the recall. There is no word yet on exactly how many jars may be contaminated. The potential for salmonella infection is wide-reaching. Officials note that although the products are primarily distributed throughout the United States and North America, the supplier also ships these items across the globe, in Hong Kong, the United Arab Emirates, and the Dominican Republic via online stores.